Shrinking my stash isn't something I dread on principle. 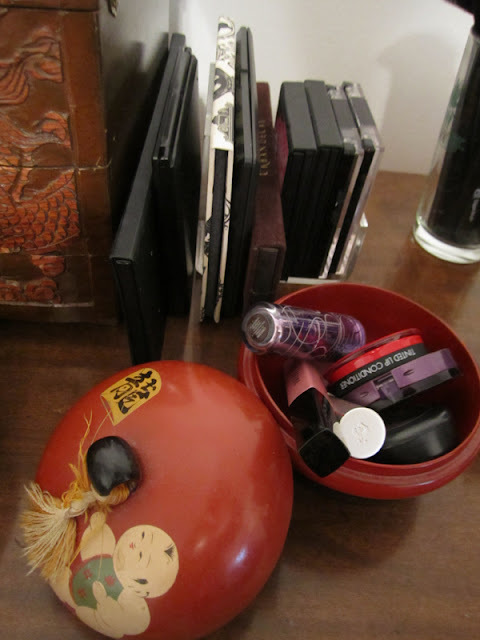 Makeup is a hobby for me, and I expect most hobbies to be moneypits, so I'm not prone to freak-outs about how much I spent on a lipstick I'm now getting rid of or how much it'd cost to repurchase a certain blush. My biggest problems are that I love variety, I try new things all the time, and I attach sentimental values to material goods. 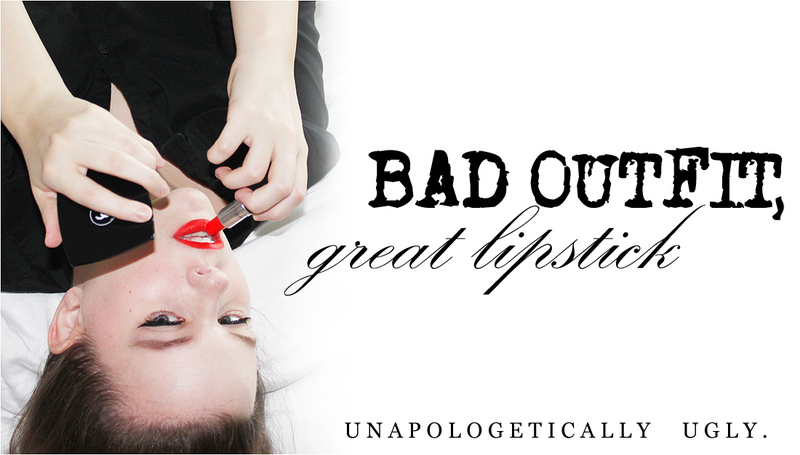 This makes it hard to do things like get rid of a lipstick that's very different from any other lipstick I own, even if the color doesn't flatter me. 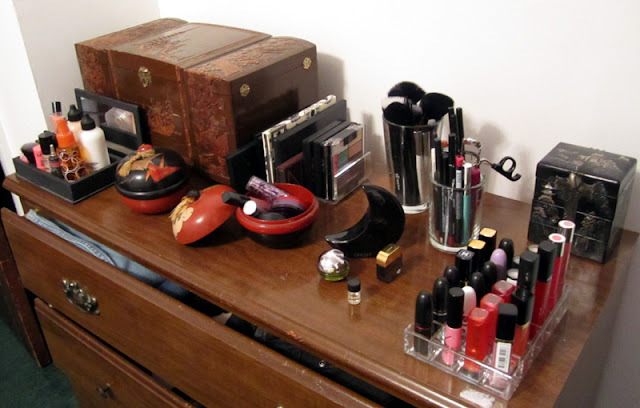 But I made a promise to myself: I would greatly reduce my stash to something apartment-sized, all in the hopes that I will not only have my own place and be able to fit all of my makeup in it, but also, I'd love to use up more of my favorite products. There's something truly thrilling about a nubbin of lipstick just sticking out of a tube or a flash of pan in a compact. My goal was to reduce my stash to what would fit on top of my dresser, plus one drawer in my plastic tower, and I've already gotten very, very close! (And yes, the blogsale will be updated soon. ;) I also want to promise myself that I'll be more selective about my products. I'll do less big hauls and impulse buys and instead try to treat a few new cosmetic items like major treats, items that should be uber-special treasures. 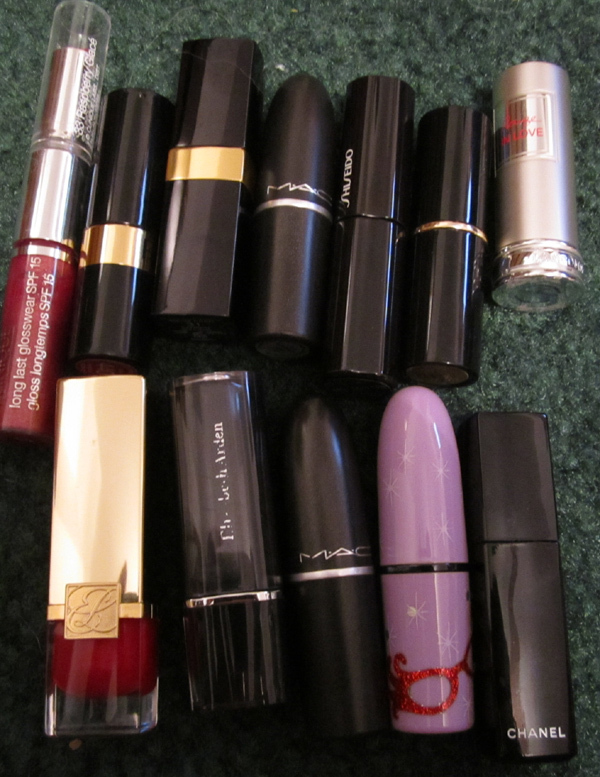 Here are some lippies I purged for a variety of reasons. 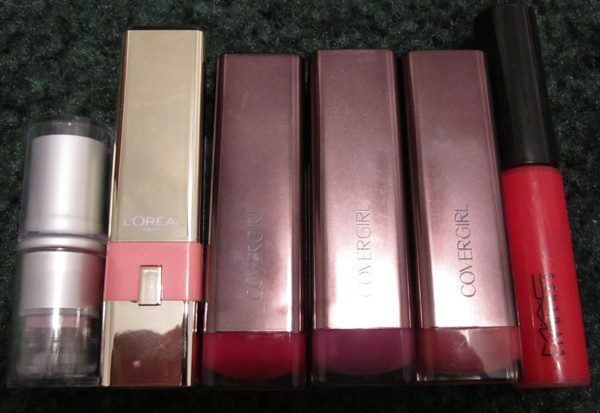 These lipsticks (and lone gloss) are beautiful shades, but the formulas just don't work well on my lips. 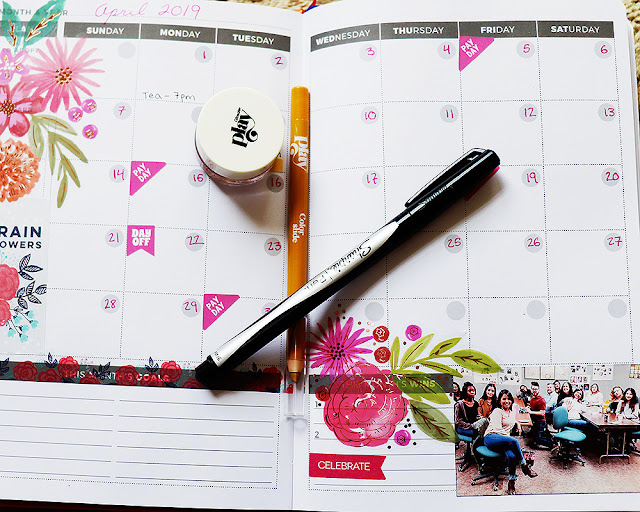 This is especially true of the L'oreal Caresse lipstick: great shade, but it barely shows up on my pigmented lips and slides off after 2 minutes. 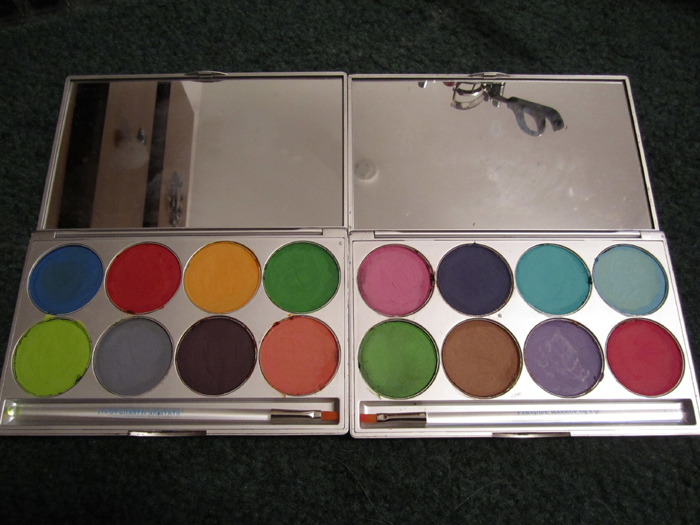 I have dupes or near-dupes of these shades in formulas that work a bit better for me for some reason. Perhaps the oddest moment for me was purging MAC Dubonnet, which used to be my favorite red lipstick (and I even went through a whole tube! ), but which I haven't really used for the past 6 months. 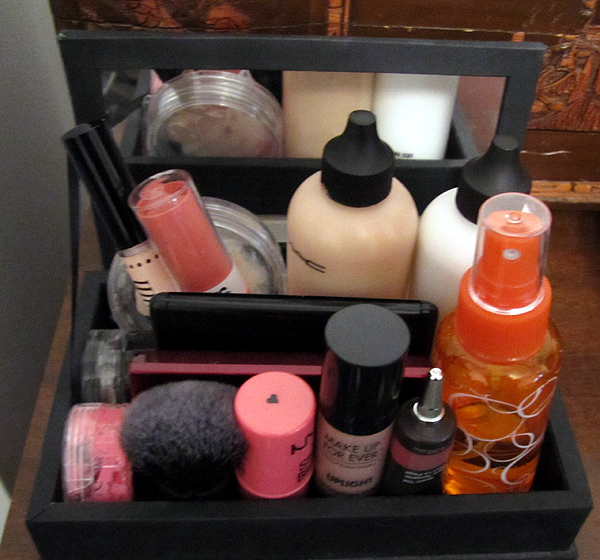 I just never reach for these, even though they're lovely products. 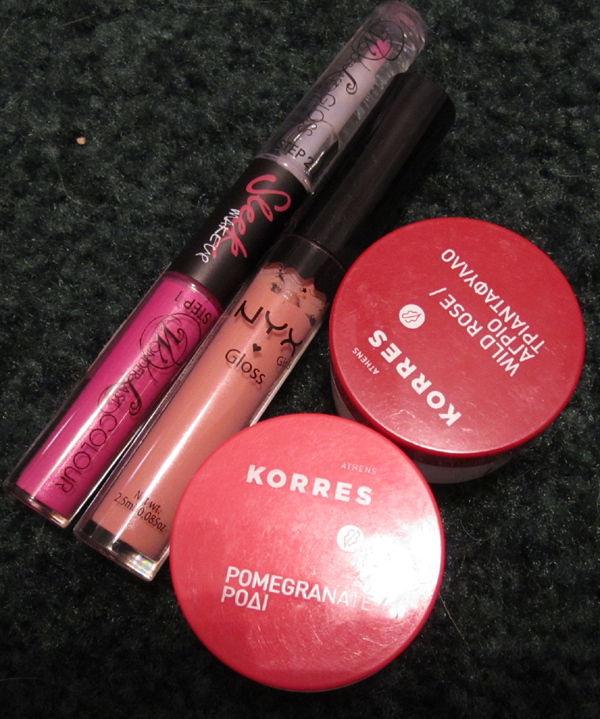 The Korres lip products are especially nice, but I hated having to wash my hands before using them. 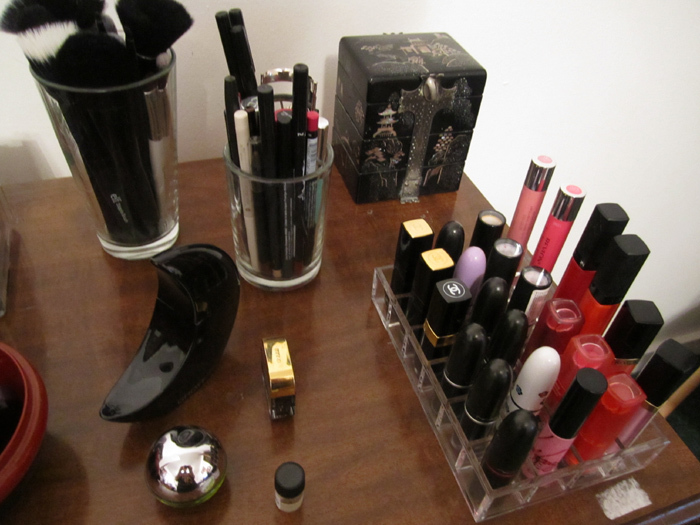 I kept my Sleek Pout Polishes, even though they're also potted, but they have SPF and are in slightly more "me" colors. Even after purging, I was left with this. Nowhere NEAR what I used to have--my lip stash used to be three times this size--but I still felt like I could stand to get rid of a few shades. 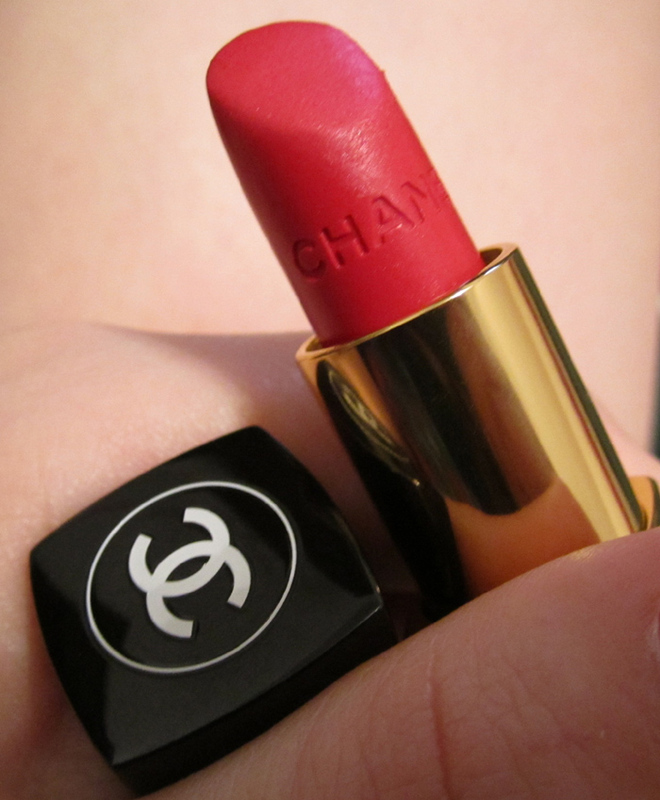 ...and kicked out a product I knew I hated: Chanel Rouge Coco in Cambon. 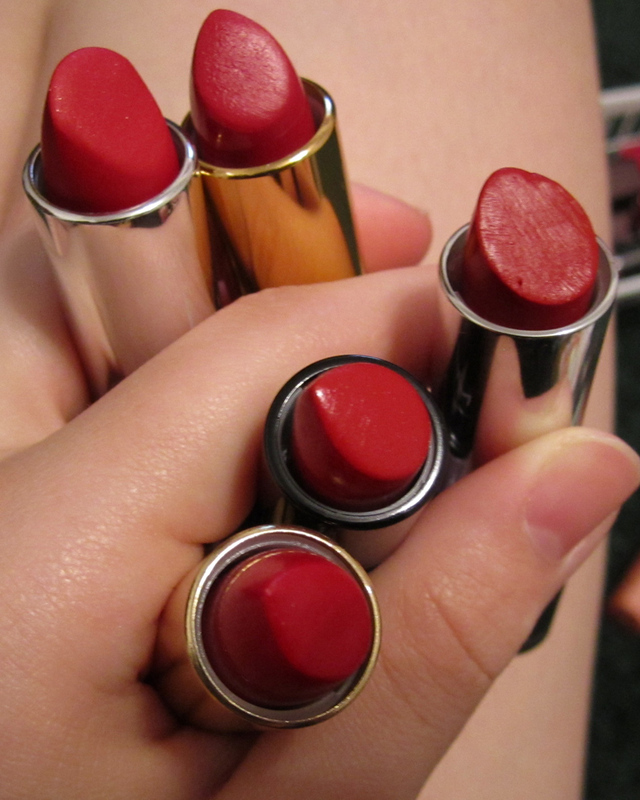 GORGEOUS pinky-red, but alas, the formula hates my lips. 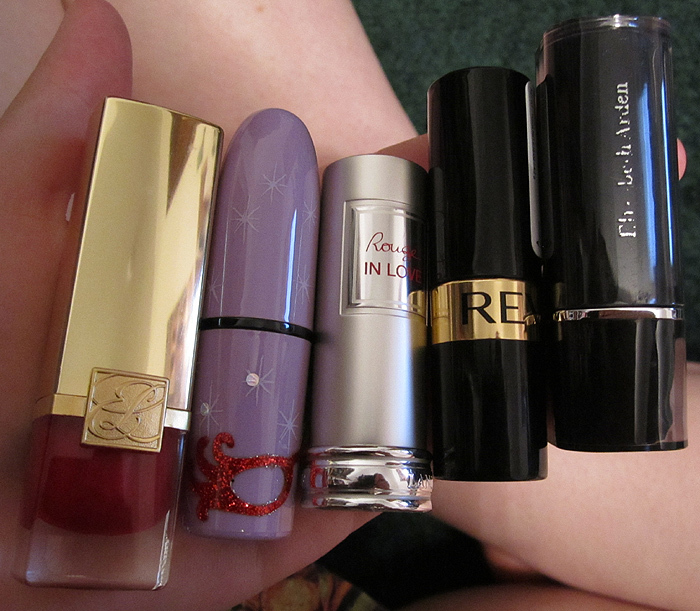 So I'm left with this small group to purge down: Estee Lauder Cherry Passion, MAC Kanga-Rouge, Lancome Rouge St. Honore, Revlon Cherries in the Snow, and Elizabeth Arden Poppy Cream. And I love all of them. EEK! All beautiful, yes? But I decided to only keep the shades that I would reach for the most, and that ended up being anything with a longer wear-time, since that's important to me. So I purged Cherry Passion and Cherries in the Snow. I was left with this bag full of stuff to swap or sell, and two Ziploc bags full of goodies for Miss Scarlet. My final stash is pretty and almost petite! 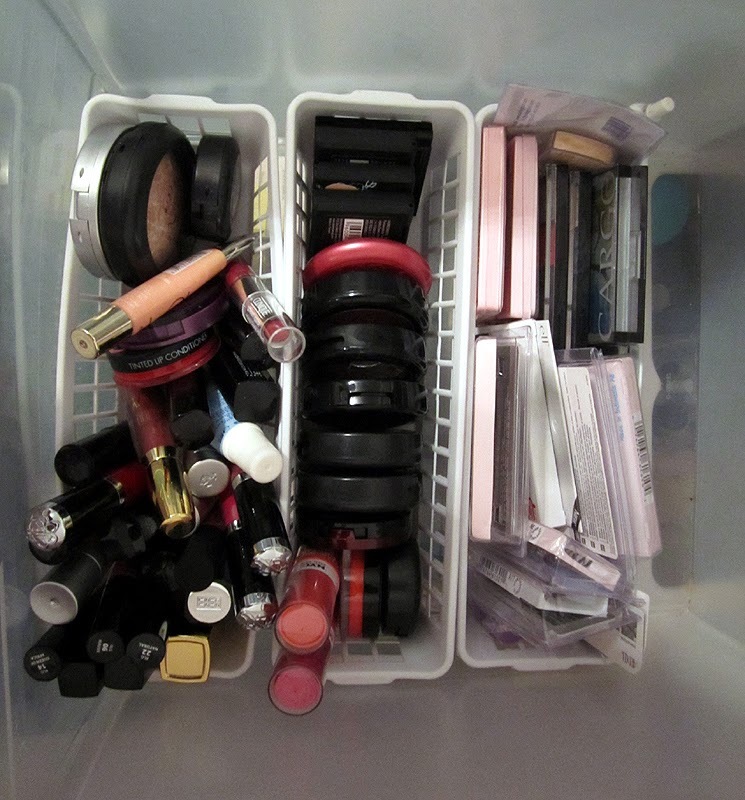 It makes me happy to see posts from people who think rationally about their makeup use, and allow it to be a hobby without letting it be an obsession (as most of the Youtube "gurus" seem to). 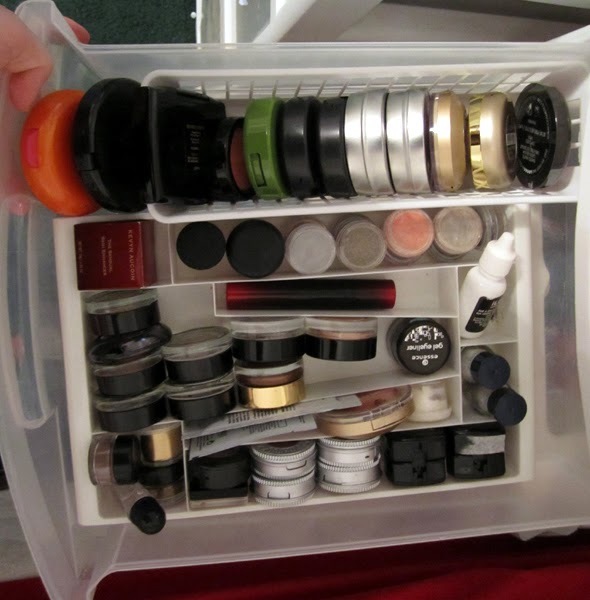 I'm planning on doing something similar with my makeup collection when I visit home (where most of it is stored) for the holidays. Good luck! 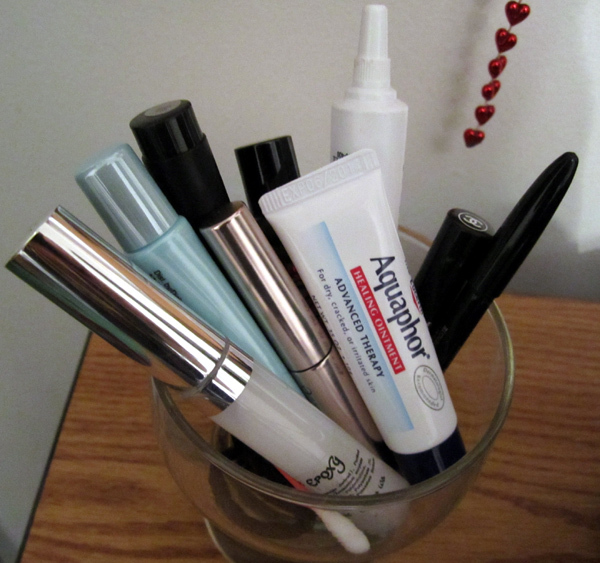 Sometimes, there's nothing better than reducing your stash. I have done this very recently! I actually love the feeling of having a reasonable collection of *different* colours and textures all of which work well for me. It's exactly like having a well-editted wardrobe. Something you can be proud of rather than ashamed of. You know, it never bothered me having a large stash until I experienced moving it back and forth between states, then started having trouble finding the exact color I wanted. I feel like this slightly smaller, more elite stash will just be better for me in the long run, and the condensed space should remind me not to over-purchase in the future.